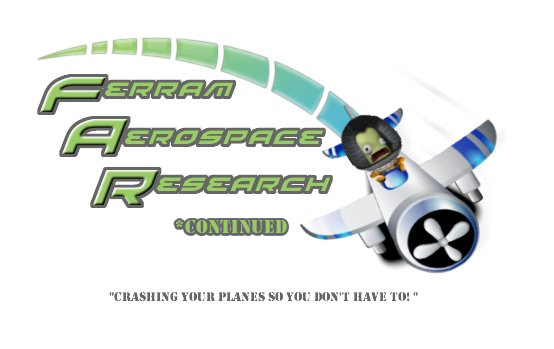 This is an unofficial continuation of Ferram Aerospace Research by @ferram4 updated to latest KSP version. The original thread can be found here. All content now licensed under GPL v3. 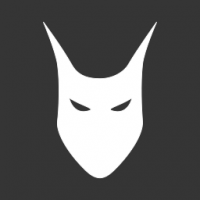 Get v0.15.10.1 "Lundgren" from Github! @dkavolis, do you have intentions of making a 1.4 recompile as well? Or just 1.5 up? Just curious. I have the 1.4.3 and 1.4.5 unofficial release, but that is without the bugfixes this version has. 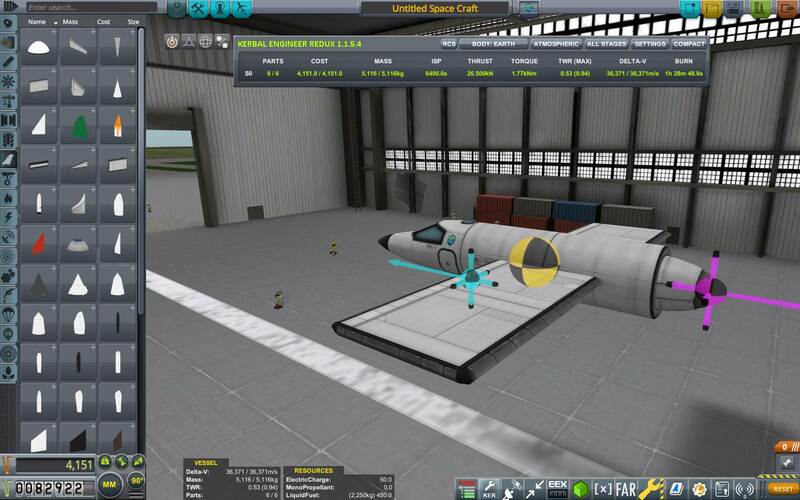 A backport is easy to make as long as no major KSP updates break stuff though. Quite likely it will be 1.4.x, unless all the other dependencies are 1.5 ready too. Anyway, thank you for continuing this wonderful mod! No problem, just want RO to be updated to the latest KSP version. The fork is now on CKAN, you need to set CKAN to install mods for KSP 1.4 to satisfy the ModularFlightIntegrator dependency. You are a lifesaver! I've been using your releases ever since the first one. Couldn't be happier! Thanks for the great work you've been putting in! Oops just saw the post few above. I have 1.4.x versions checked in ckan. But mfi still doesnt pop up as a dependency. MFI has been updated to KSP 1.5 on CKAN so it should work now. @dkavolis: Thank you. I had been building my own since 1.3, but this saves me the effort (and makes many others happy too). There is some "KSP 1.5.1" activity happening on the RO GitHub. 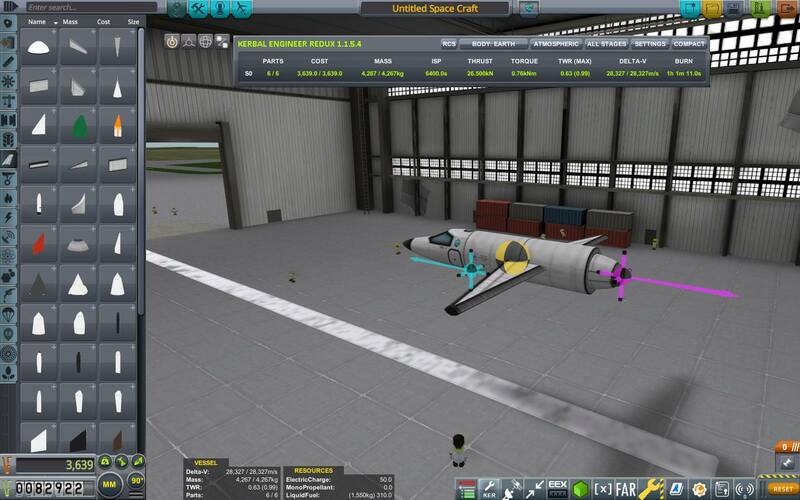 FAR disables itself when it is not on a version it has been compiled for, this version is for KSP 1.5.x only. If you can live without the bugfixes you can use my patch for 1.4.x, otherwise you'll have to wait for this version to be backported. I have still purple curves ... because -force-glcore ? 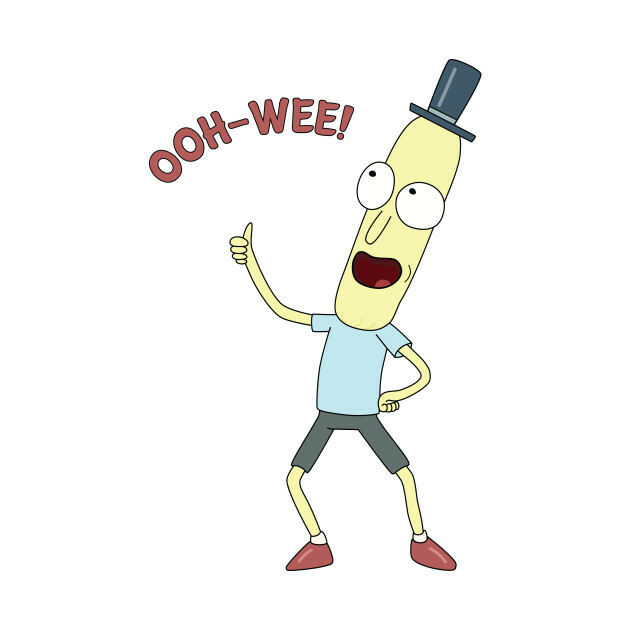 Copied the master zip file from the github link, extracted the GameData folder from the zip file. Copied the GameData folder and overwrote the one in the main game install folder. (Trust me, I'm an) Engineer, eh? It feels like Ferram Aerospace. My Fat-Star heavy lifter flies, glides and lands on KSP 1.5.1 as I expect it to on KSP 1.3.1. Well done! "Speaking of FAR... It's not currently compatible, but I would like to add that. The challenge is multithreading the FAR calculations. I scratched together enough open-source info on the stock aero stuff to make a threadsafe aero calculator, but FAR's methods are not threadsafe. So I could add it now, but it would take a few minutes to generate a flight envelope (instead of a few seconds). I'm hoping to work with the FAR devs to find a way forward....Until/unles﻿﻿s FAR makes improvements to their API that lets me access the data I need (or I recreate their methods inside of this mod, which introduces maintainability, versioning, and potentially licensing issues), FAR unfortunately can't be compatible with this. I would really like to make them work, though. @dkavolis might the above be within your scope of interest & time capacity to evaluate if it is even a possibility for the future of FAR...a Kerbal Wind Tunnel type envelope plot working with FAR in RO? Maybe you have already discussed with @Booots (I did not see any conversation on the topic with Booots over at Git so decided to ask here) Thanks! 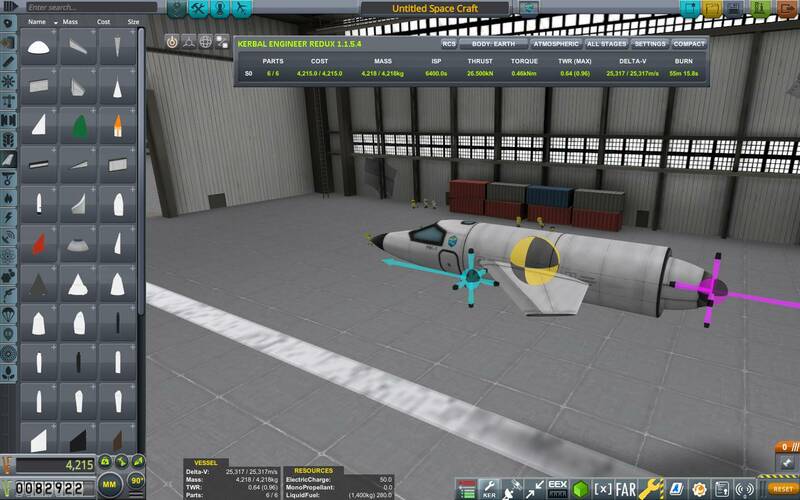 It is definitely in my scope of interest, IMO it should be built into FAR, however making FAR compatible with Kerbal Wind Tunnel should be easier and faster. I'll look into what can be done. Thanks. RO shouldn't be a problem from a Kerbal Wind Tunnel perspective. Though I haven't tested it, it pulls all the atmospheric and gravity data from the celestial bodies loaded in-game so that should be okay. FAR compatibility is on the horizon for KWT. I dont really understand this mod so the Heavy Aerodynamic stress you mean Max Q or when you pitch too hard right? I tried the latest repo from 2 hours ago - with Procedural Fairings. No chance. I even set the start of the gravity turn (MechJeb) at 12 km / 300 m/s. Too much of a drag from the top. And the fairing is not too blunt.